Located in IFC, Bettys Kitschen (but the menu says St Betty, and I don't know which one is right) is a refreshing modern restaurant reflecting young and casual personality. 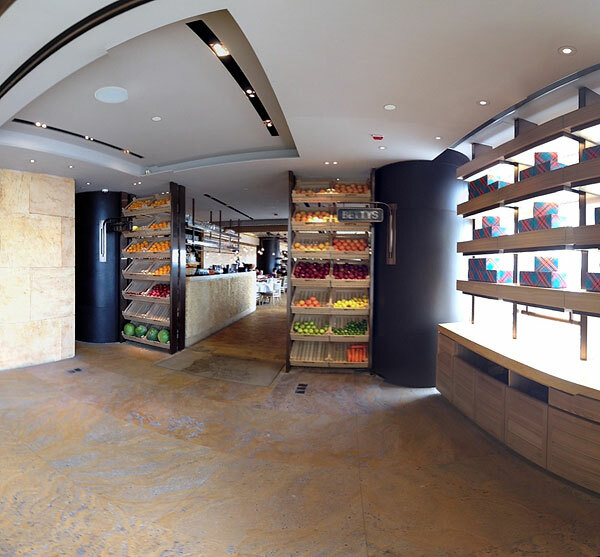 Its front entrance is like a marketplace with trays of fruits and bright sunshine coming through. I am quoting from Dorothy So's review on Timeout Hong Kong magazine, who describes the place just right. "There are restaurants that succeed because they serve some of the best food you've ever tasted. Then there are those that make it because they’ve managed to milk a certain niche. Alan Yau’s restaurants hum the latter tune. The Hong Kong-born, British-raised restaurateur has rarely tried to force haute cuisine into his portfolio (his Japanese joint Sake No Hana being the one exception). Rather, his outlets, including Wagamama and Hakkasan in London, all became famous because they created mass-friendly Asian fare that had been tweaked and re-tweaked to suit Western palates. While Yau has swapped sweet and sour pork and mapo tofu for a pan-western menu at his latest restaurant, Bettys Kitschen (yes, we did spell the name correctly) essentially follows the same business strategy – this time, targeting the lucrative market of young and affluent patrons who want high-end fare without the stuffy implications of traditional fine dining. With a little help from his designer-prodigy friend Andre Fu, Yau has transformed the former Harlan’s space into a gorgeously whimsical venue, adorned with rough stone walls, trays of fresh produce, potted herbs, Edison lights and waitresses who flit around the dining room in tartan circle skirts. It’s an expensive restaurant that has been carefully packaged to be inoffensively fun and casual (cue deliberate decision not to change cutlery in between courses). On looks and concept alone, Bettys needs almost no improvement. On the food front though, the kitchen still seems to be experimenting with what works and what doesn't." 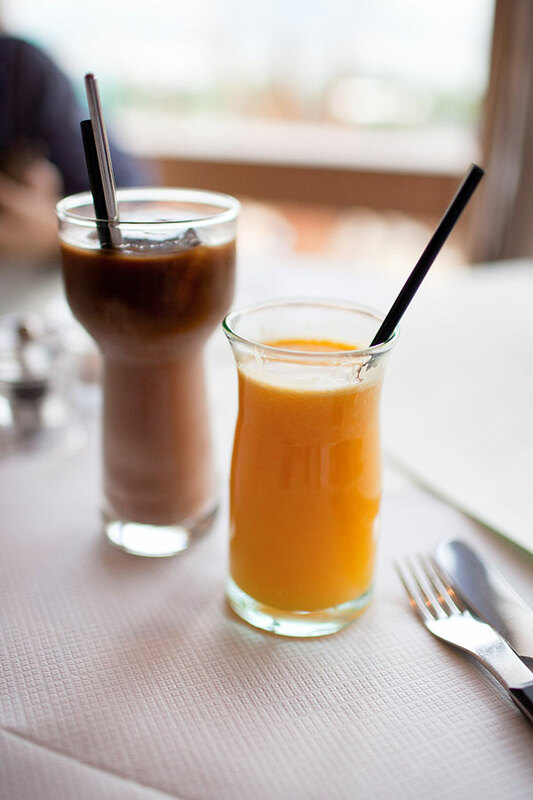 Today we begin our late breakfast with some drinks: fresh orange juice, fresh vegetable mix and iced mocha. 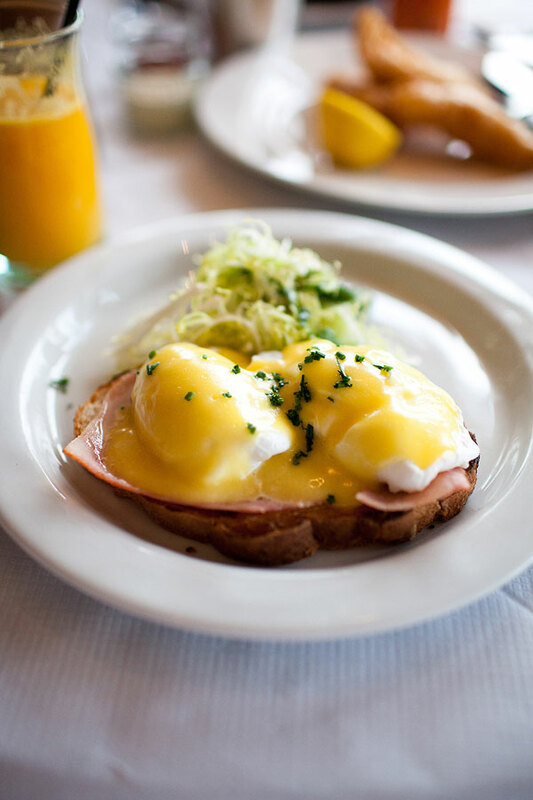 The Classic eggs Benedict () sounds like a great one to start the day. It is surprisingly light and the sauce is not too thick, but the eggs are strangely tough without the silky texture. 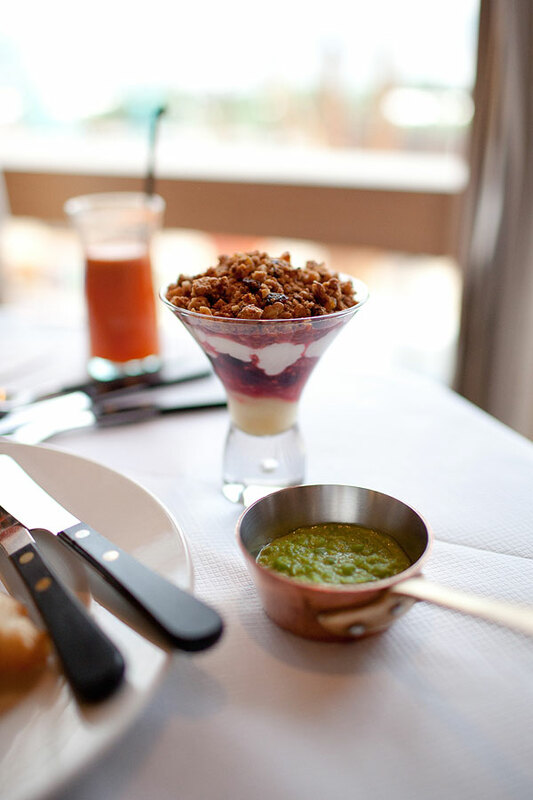 The Homemade Granola with Yogurt and Berries () is a beautiful display of summer colors, though people like me who need more energy for the day will find it too little to fill the stomach. 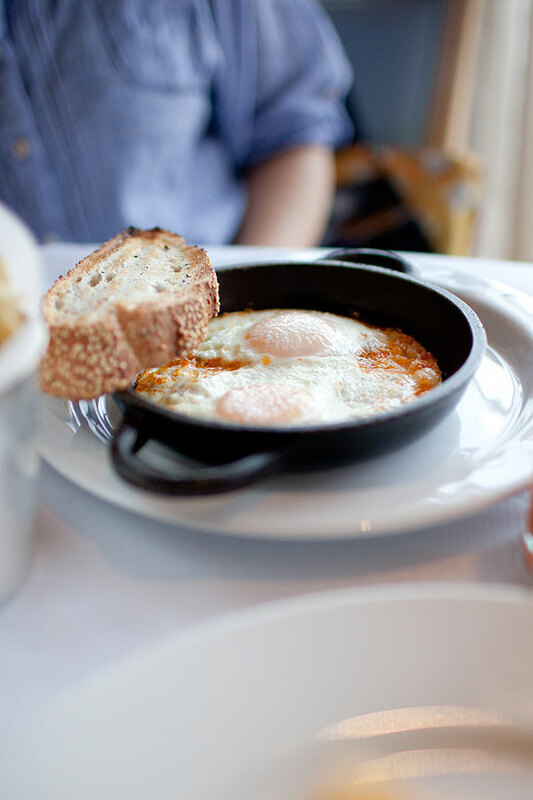 The Charcoal Oven Baked Eggs with Chorizo () comes out sizzling hot. It is dry and crispy on the surface but the yolk is still in its yummy liquid form. We then add one more to share. 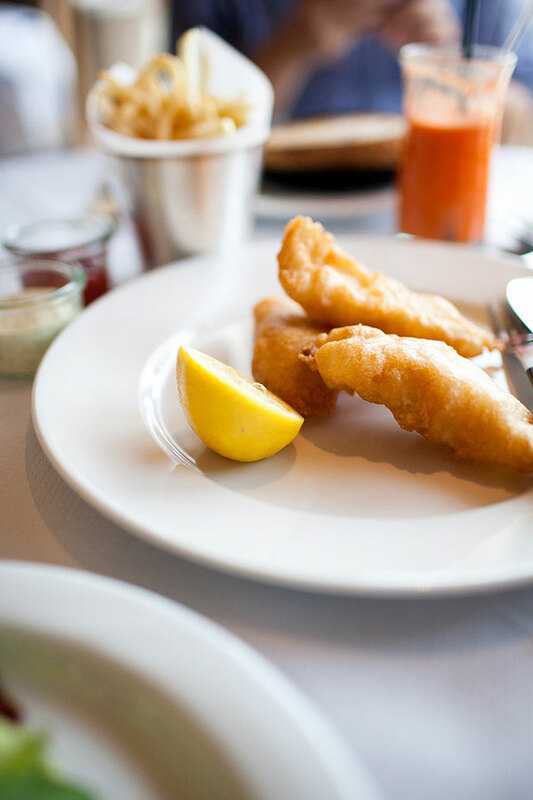 The Bombardier Ale Battered Black Cod Fish and Chips (8) is delicious and not oily at all. I though preferred fatter French fries than this McDonald's-like one. Dinner at Bettys Kitschen may be a bit too expensive to most of us, but the breakfast is obviously more affordable. Honestly, the delicately prepared food does not taste very wowing nor is it very creative, but the light-color deco with warm timber materials make everyone feel like home. Who doesn't want to enjoy a good meal in such comfortable ambiance? I don't know if that sounds crazy but that is actually the reason why I will come back here to find Betty again.